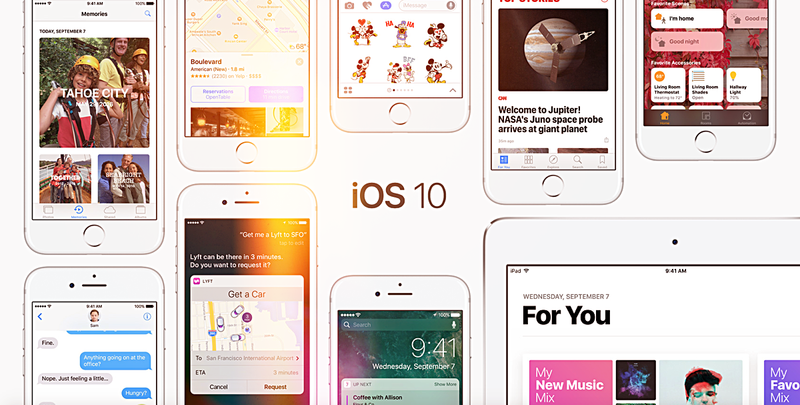 Here is a complete set of iOS 10.2 features and what is new in this update. We have the complete changelog of the release as well. Every iOS update brings with it something new. Whether it’s something under the hood or upfront, Apple throws in a surprise at certain corners. 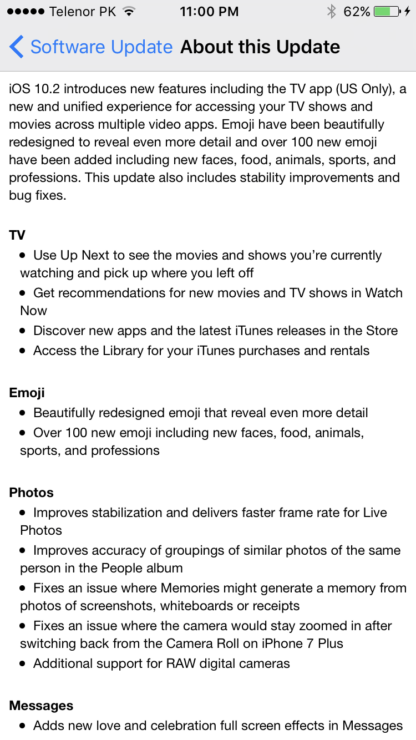 But some updates bring with them a barrage of changes because they seem warranted by Apple. iOS 10.2 is the latest update and it packs a lot of great stuff under the hood, and at face value, both. The first obvious change in this update is a set of new emoji characters. They’re absolutely brand new and bring a sense of freshness to the table. Moving on, new wallpapers have been thrown into the mix for iPhone 7 and iPhone 7 Plus users. These are the very same wallpapers which Apple showed off during its flagship keynote in September. They look gorgeous and compliment the Black and Jet Black iPhone 7 very well. 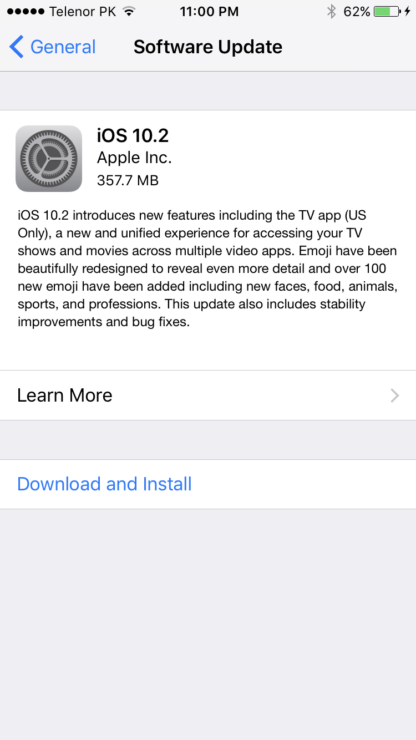 Instead of laying down the features one by one here, here’s a look at the complete iOS 10.2 features changelog which comes straight from an iPhone 7 smartphone. There’s a lot Apple has baked under the hood, making it an important upgrade for everyone to have. I for one would recommend installing iOS 10.2 on your iPhone, iPad or iPod touch right away. As you can see from the changelog above, there are a lot of great things you can experience as soon as you install the update. Apart from the changes that are available upfront, Apple has thrown in security fixes into the mix as well. 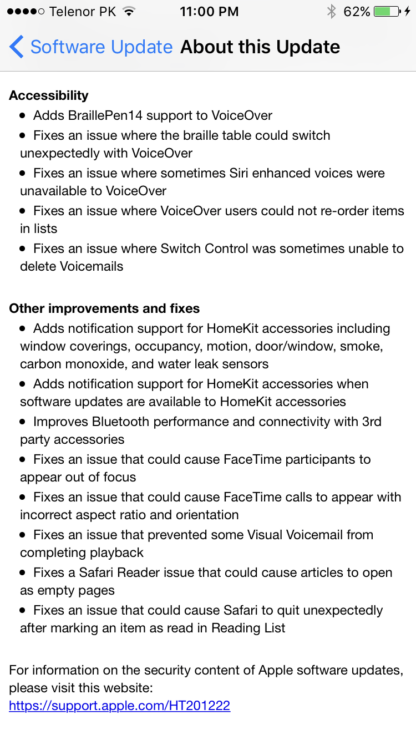 Bug fixes are aplenty too. There are two ways how you can install iOS 10.2 on your device right now. First is the most obvious over the air (OTA) method, which ensures everything is installed without having to backup anything to iTunes or iCloud. The second is through iTunes where you’ll lose your files and such but end up with a fresh copy of iOS 10.2. It’s totally up to you which route you want to take, as long as you have iOS 10.2 up and running on your device. 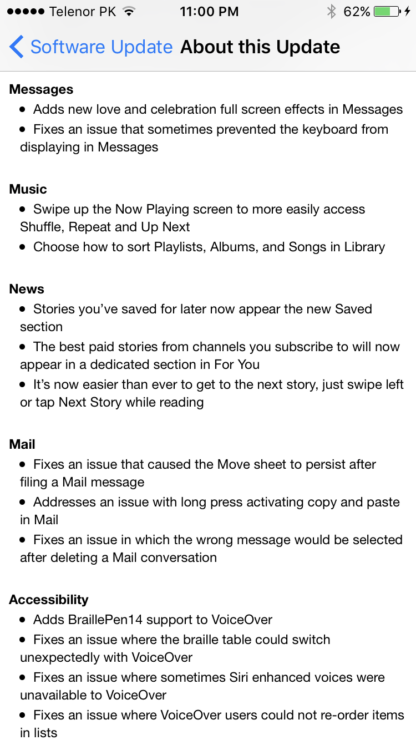 We will keep our readers updated regarding future iOS updates as well, so stay tuned to our coverage.